Adding the courgette lowers the calorie count and adds even more veggie goodness. The recipe is gluten free, dairy free and vegan. 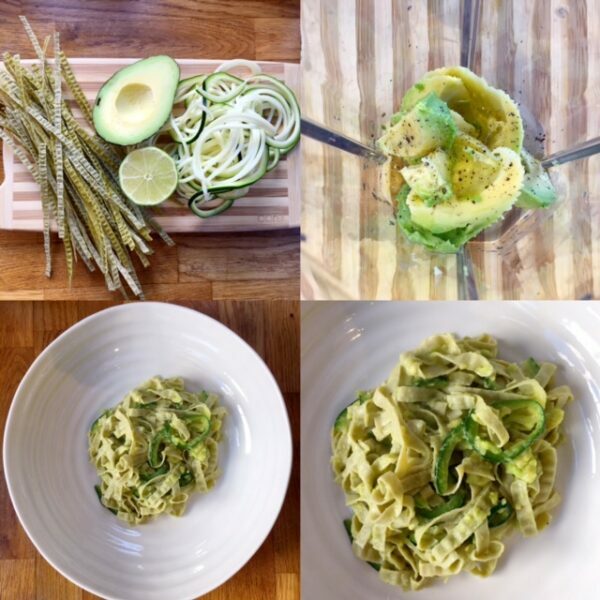 Boil the pasta for 1-2 minutes, add the spiralised courgette for a further 2 minutes. Drain. In a food processor blitz the avocado with the lime juice and zest, add the garlic oil. Season to taste. Stir the sauce into the pasta, top with freshly ground black pepper.